Teacher Koen Meirlaen performs the experiment at the Princess Elisabeth station in Antarctica. You don’t need much, just some sun and a long stick! Pupils and teachers all over the world join forces to measure the shadows of a 1m long stick! We compile an online database that can be used in geography lessons about the movements of the earth in our solar system, in trigonometry classes and even in classes discussing how time used to be measured long ago. Of course it is also a fun educational activity for people of any age! By participating, you create and increase not only the knowledge and skills outlined in the curriculum, but you also motivate students through real-time data collection and comparison with available data from different countries. And what's more exciting than to link this to measurements being done in Antarctica! 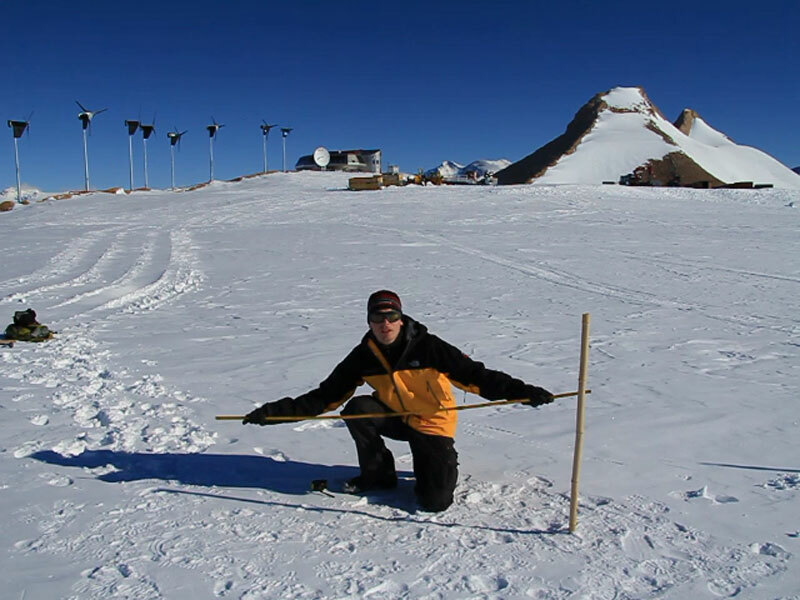 Watch the video clip that teacher Koen Meirlaen made at the Princess Elisabeth Station in Antarctic! You can read more about the project here. The Sun Shadows Project is a joint educational project of the Museo Nazionale dell'Antartide and the International Polar Foundation.